Gator By The Bay 3 hrs · Time to do a happy dance Gator fans!💃 Early bird discounted ticket sales have been extended until 2/9! So far this year we have Gator friends coming from 19 different states including Arizona, California, Connecticut, Florida, Georgia, Idaho, Massachusetts, Minnesota, North Carolina, New Mexico, Nevada, New York, Oregon, Pennsylvania, Rhode Island, Tennessee, Texas, Washington, and of course, Louisiana. 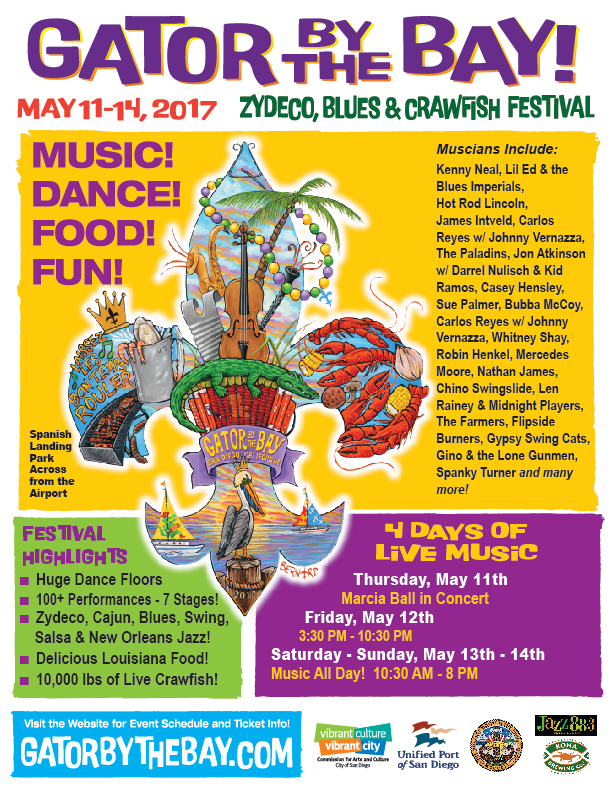 Don’t miss your chance to be a part of the largest, most-authentic Louisiana-themed music and food festival this side of the bayou! #GatorByTheBay Early bird discounted ticket sales extended until 2/9!